This is so worth the money. I use the reversible seat to plant and weed my garden. A double seat with sturdy metal frame that folds up. For me it is most comfortable to use the higher sitting position but the lower kneeling position may be convenient for those who can use the handles to get up. Perfect for arthritic gardeners. As an older person with arthritic knees this bench is a godsend! I not only use it for gardening, but it is just as handy while cleaning out low cabinets in the kitchen. Because it is so light it is easy to carry and simple to set up. I love it! I have one for myself and sent this one to my daughter-in- law. This is really great for people with knee or back problems. 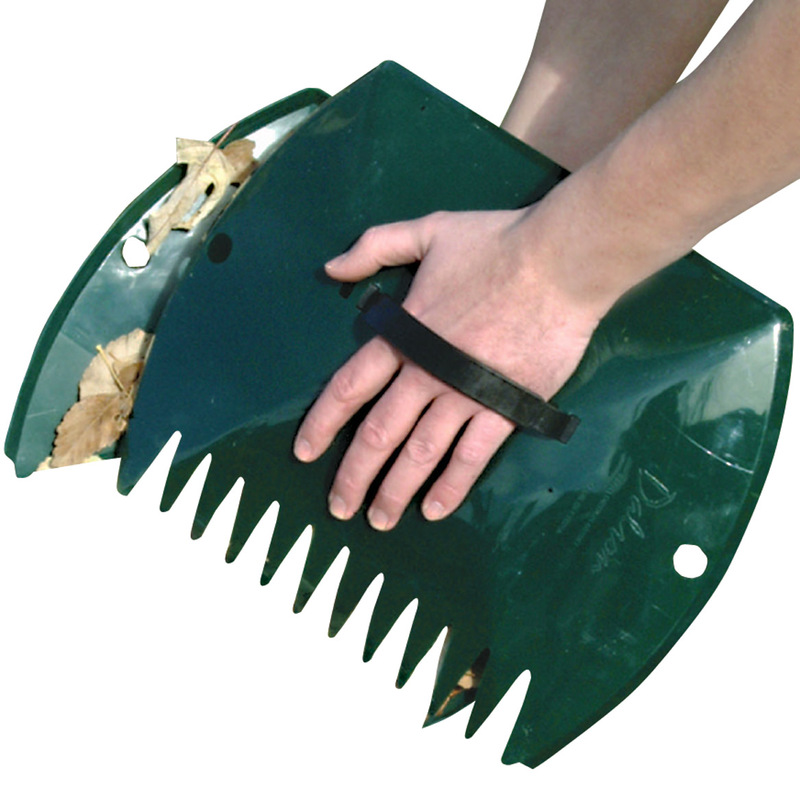 can use it to sit on to work in flower beds or gardens and then can turn it over to knee to work in flower beds also. With the arms this makes it so easy to get up from kneeling. Loveit, Love it, LOVE it! I am 76 years old and can't sit on ground or kneel without having trouble getting up. I use the seat arms to push up easily when kneeling and also when sitting on it. I use it both ways routinely. I have loaned it to (trustworthy) friends too! 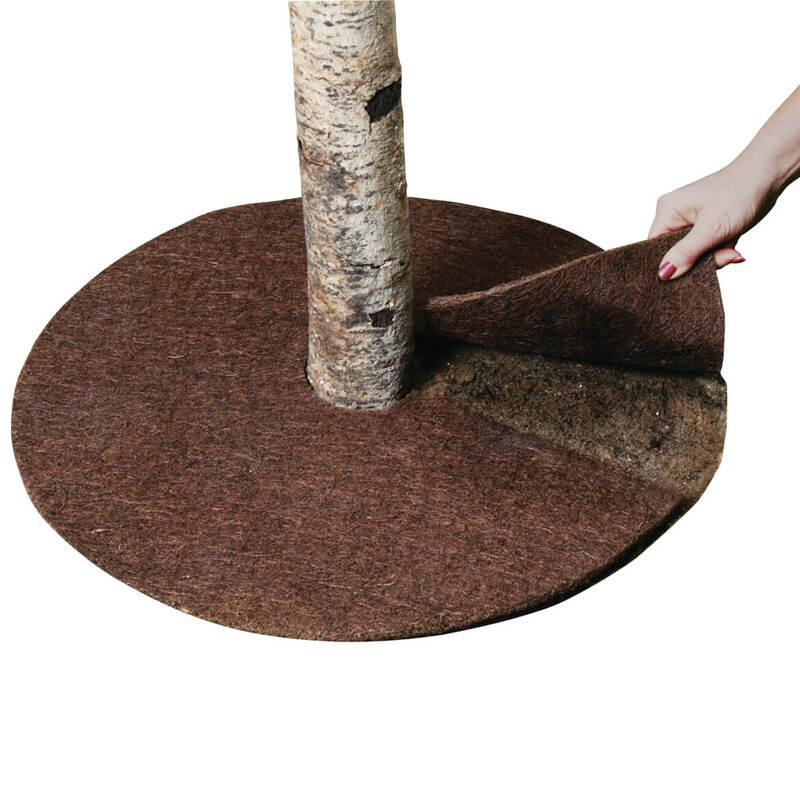 It was a gift from a dear friend and is a super gift for anyone who needs a little help getting down close to the ground. Now that I'm getting older, I can still work in the yard longer, knowing I can boost myself up from kneeling position with the handles of garden seat then flip it over and have a seat handy. Great heights on both sides. Gave a friend one as a gift, she loves it. Getting another for a gift! From pulling weeds to putting down new tile in our house! This item saves your knees and back-We have one in our business-and two at home-as my husband and I work together as a team on projects, and wouldn't want to do them without this great item! I used this in my garden last week to plant bedding plants and found it very useful especially being able to push myself up from a kneeling position. I purchased this seat/kneeler for working in my garden. No more mud covered knees. The handles provide ease of getting up from kneeling, so less back pain. I also use it for seating for my grandson who is 3, he loves it. Only drawback I know of is that it could use a pouch on either side to hold my garden tools as I am working. With a bad back this garden seat allows me to get up and down with ease when working in the flower beds. Gave one to my neighbor also. Great for kneeling and if you flip over u can sit. Husband loves it has even taken fishing. I love this product, saves the knees and is very sturdy. Makes a nice chair when you want a rest a minute in between weeding or planting. Also, easily supports your weight when you go to get up. I don't have any complaints whatsoever about this product. I have arthritis and this has made working in my garden and flower beds soooo much easier and less painful. Can not do without it. I actually gave this as a gift but have gotten feedback to write about it. My mom LOVES gardening, including on her hands and knees, and when she tried the garden seat she loved it! My father did too. And the handles are the right height for helping her up and getting down. The product comes already assembled. It doesn't look like it when it comes, but my mom took it out of the box and unfolded it. I just had totalknee replacement and cannot knell to do yard work. This is great because I can sit and plant flowers or weed and get myself back up with ease. Knee surgery and age have made gardening hard to do. This product eases strain on knees and back. I love my folding garden seat. Because of injuries and surgeries I am unable to get down to work in my flowers and floors but I saw a friends garden seat and knew that was what I needed so I ordered it and it is wonderful. I am able to get down and work in my flowers and my floors and it makes me feel so good that I am able to do these things again since I got my garden seat. It is so handy to be able to hang it on the wall when I am not using it so it isn't in the way. I wish I had known about it earlier. I wouldn't be without it now. I use this bench for many projects around the house. I have arthritis and bending down to weed my flowerbeds had become nearly impossible for me. 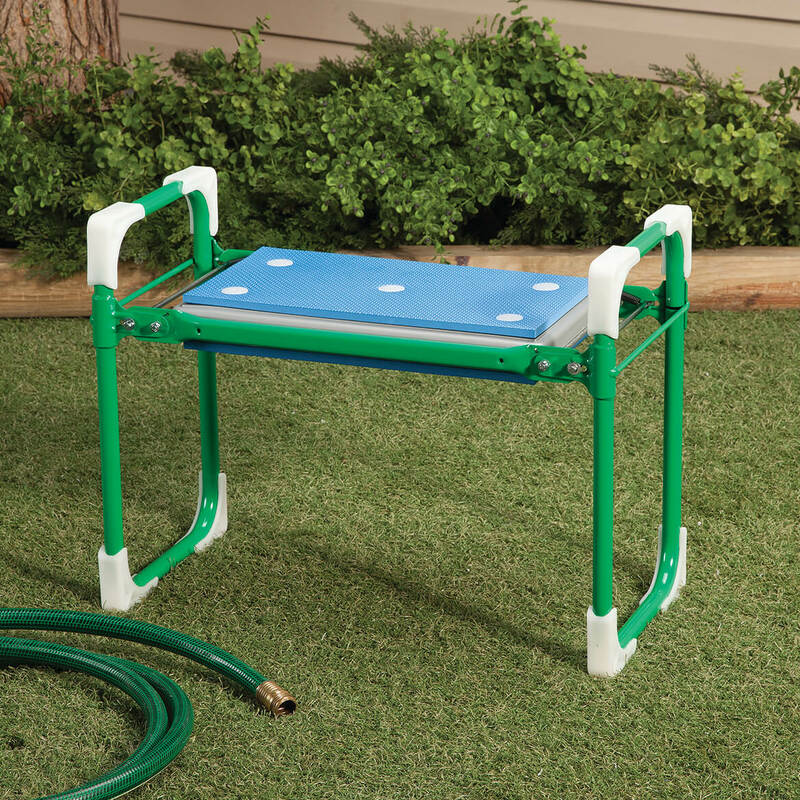 This wonderful little reverse stool makes it easy to stand after kneeling or sit to pull weeds. I have purchased a second one to give to my sister-in-law for her birthday. It is extremely well constructed, easy to fold up for storage and worth every penny I paid for it. I own TWO of these. Would not be without them. The handles make me feel secure as I am getting up from my knees, using this tool. Thinking a 3rd one would be handy! I also use it in the house to make it easier to get down to the kitty litter boxes for sifting and cleaning. I walk with a walker and have to have assistance to get up and down. This bench is sturdy enough I can push myself from sitting to standing easily and when I sit on it, it's low enough that I can weed and plant. Just about perfect for any gardener with bad knees. Anything that can help my bad knees get me up and down is ok in my book. This is sturdy and will help steady me. Can't ask for more. And oh yea it's comfortable also! I love the garden seat! Would recommend. I can still sit or kneel on the ground, but have problems getting back up. 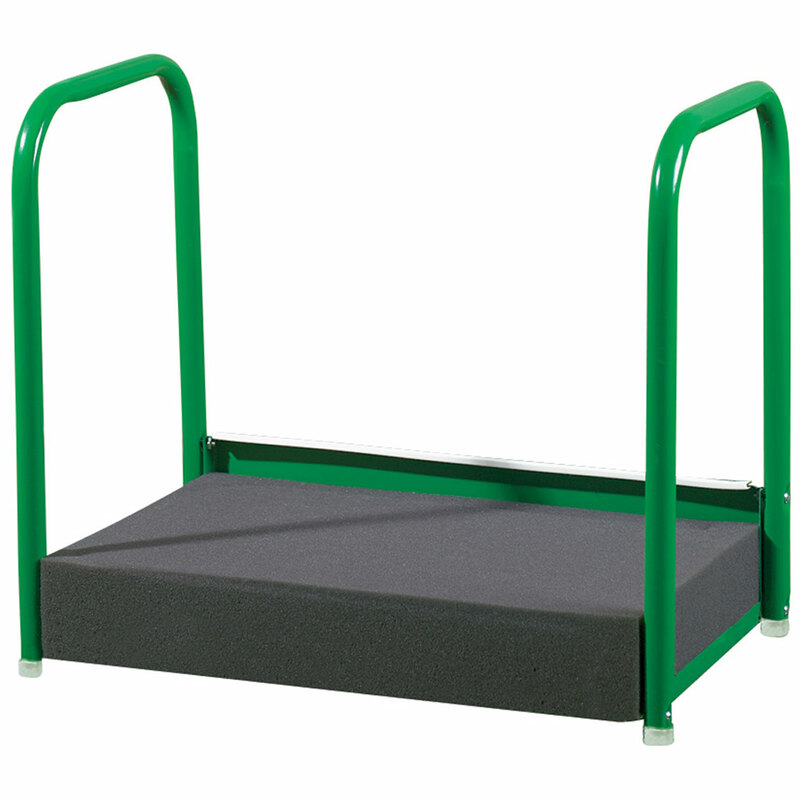 This seat provides a sturdy, stable base WITH handles to make rising or sitting/kneeling much easier. The low position is low enough to let me reach without bending. It's also simple to fold and carry. This has given me back my ability to work in my garden again. I can easily bend over to work in the gardens and the handle is a much appreciated helping hand. It's very sturdy and not heavy. 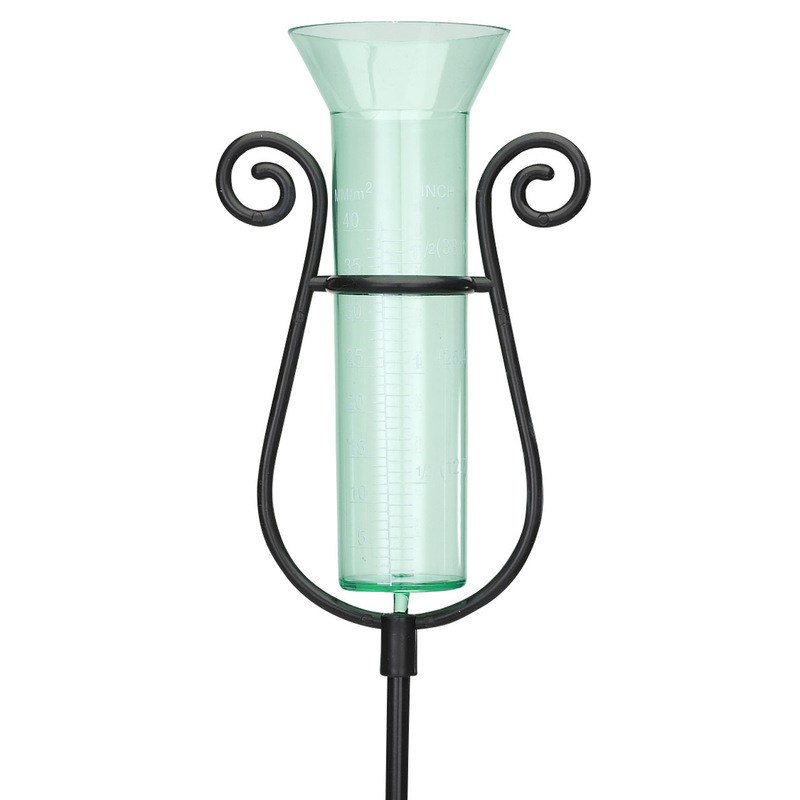 Bought this past gardening season, but tested it out and it appears that it will work great. It is lightweight and folds easily to carry/store. I have seen a similar item advertised much cheaper though. I would buy this product again - and I did! I purchased one a couple of years ago, and liked it so well I purchased another one so I could have one handy at the two locations I have used it. One I use as kneeler and our cat uses it as a bench in front of our door so he can see out when he has to be in the house. Found that it offers great support for those of us who have bad knee's when rising, to be able to use the frame as support to get up from a kneeling position. I use it for pulling weeds and putting in new plants that I must get closer to, than sitting on a stool can provide. I just wish that it was adjustable in the width, as my hips are slightly wider than the space given to kneel in. Also, the pad to kneel on is extremely firm/hard. Not real comfortable after a few minutes. 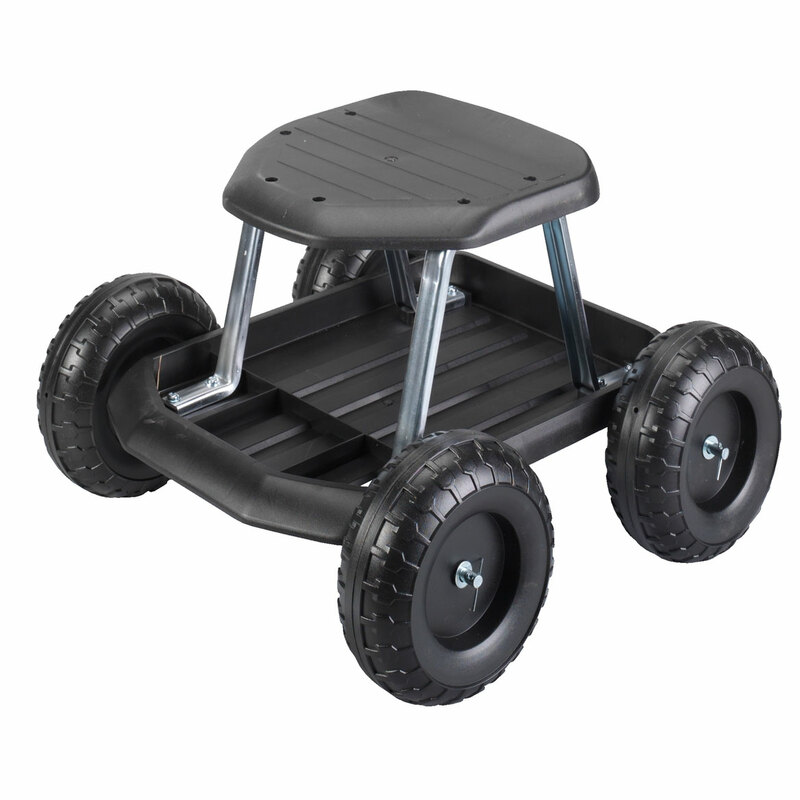 And it does not show the weight limit it will support while in the sitting position. I am glad that I spent the money I did on this handy gardening tool. Can't go back to weeding without it! I plan to use it when we travel. I need it for my CPAP machine since the machine needs to be lower than my head when I'm laying down. Whether the bed is low or high, I can accommodate with the low position or the high position. Since the product can be folded up and is lightweight, it won't be cumbersome to carry nor will it add much weight to luggage. I admit that I haven't had to pack it yet, but I have used it at home and it will fit my need. Needs some sort of tool holder. I am 65 years old and have trouble with my legs. I have trouble getting down to plant my flowers and getting back up again. This will be perfect for my planting. It will be a BIG help! Used this still when I was on crutches for ACL repair recovery. Light weight and easy to carry, sturdy seat and got me in the garden when I would not have been able to otherwise. Look forward to using itto kneel on for bulb, seeds, transplalnting, etc. neatest little stool, love it. my mom purchased this and has already tried it out weeding in the yard...it is well worth the money and you ahve leverage to get up. The padding make it easy on the knees and the handles make it easy to get up. It folds beautifully for easy storage. Got it past growing season, but I tested it out and it appears it will do the job. It it lightweight and folds easily to carry/store. I've seen others advertised since that are a lot less expensive though. I used it to plant bulbs etc. First time I used it, the foam was too hard and hurt my knees. I made my own cushion to kneel on and was able to use the bench more comfortably. I gave this to my dad for Father's Day because he needed something to kneel on when he was cleaning the pool. The first time he knelt on it the plastic pad removed from the holder and he cut his shins on the metal. I am sending it back and have ordered him a different brand that I know is a good quality product. I am very disappointed. From the photographs this garden seat appears sturdier than the others seen online. Wife needs the help getting up while gardening. My brother recently just had hip surgery and he likes to garden so this will help him as he recovers. And the item was reasonably priced. this is for my 19 year old grandson, that lives with me and loves planting flowers and plants, I saw him on he's knees the other day & after that he was in pain. 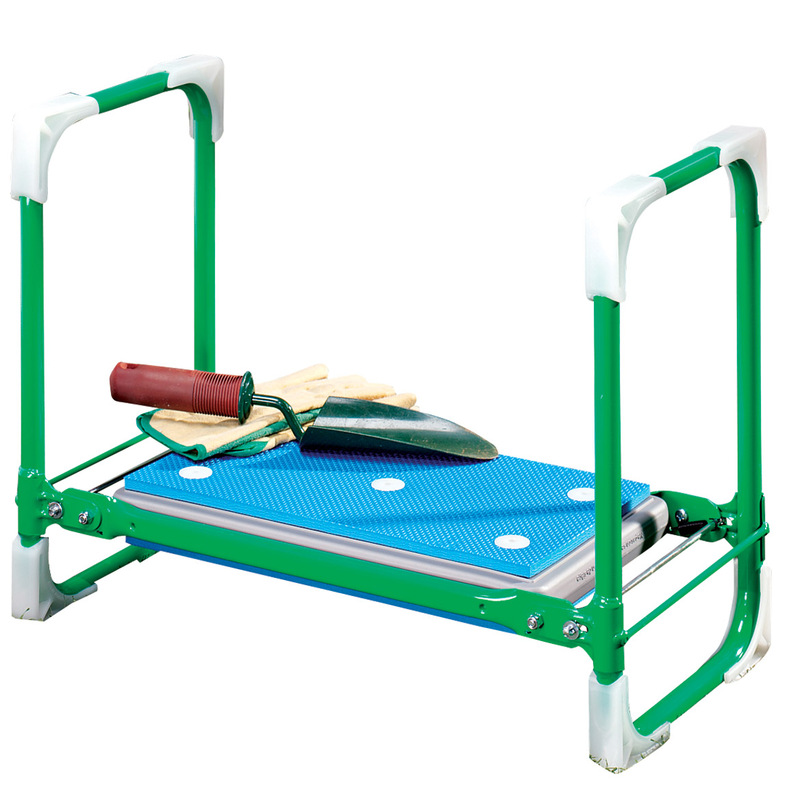 This product is excellent to use when going from a kneeling to a standing position. Folding, compact storage is great too! I chose this item because my friend bought one & is very satisfied with it. she's the one who recommended I buy one. Getting down is easy, but getting up is tough. I love my garden; this will help my body and my spirit! For you are closer to God in a garden than anywhere else on earth! Uhhh I wanted it ??? I have one for myself and know my elderly husband will benefit from having one, also. It's a Super Invention! Love the durable quality and ease of converting from kneeling to sitting! The arms for pulling up after kneeling are Fantastic! For our elderly friend to work in the garden. Folding Garden Bench is a tremendous help in the garden or the kitchen. made of metal, folds flat. My Mom had bought me the same one years ago. It has lasted for a long time, but the fasteners that hold the seat/kneeler pad onto the frame were finally breaking off. Time for a new one, but I wanted the exact one that my Mom had bought me. This is the one! Because it's hard for me to bend over or stand for very long. I've had something similar before but it finally wore out. HARD TO GET UP FROM THE GROUND. I can't get down on my knees and get back up without something to hold onto. Plus I can reverse it and be sitting down and get up easier. I have places that have narrow access, so this is perfect! To save my knees when I am weeding my garden. it looked to be constructed well. Need help in getting down then up after working with flowers or other yard work. I cannot stoop or kneel so this seat will be very handy when I work in the yard and flowers. looks like it will help me do my gardening work so I don't have to keep bending over. This should make it easier to do gardening -- either sitting or kneeling. My mother ordered this for me and I love it. Now she wants one too. Can you raise the seat up higher? BEST ANSWER: Thank you for your question. No, when kneeling, the pad is 4” off the ground, when sitting it is 12” off the ground. We hope this information will be of help to you. You can if you flip it upside down. Then the seat is higher off of the ground. how high off ground when kneeling? BEST ANSWER: Thank you for your question. When kneeling, the pad is 4” off the ground, when sitting it is 12” off the ground. We hope this information will be of help to you. Where can I get repair parts? BEST ANSWER: Thank you for your question. Unfortunately we do not offer repair parts for this item. We hope this information will be of help to you. I receive a new catalog and the fording garden seat look different: witch one is the one I will receive? The one on the website or the catalog? BEST ANSWER: Thank you for your question. The photo on the website is the correct photo. We hope this information will be of help to you. what is height of seat above ground? 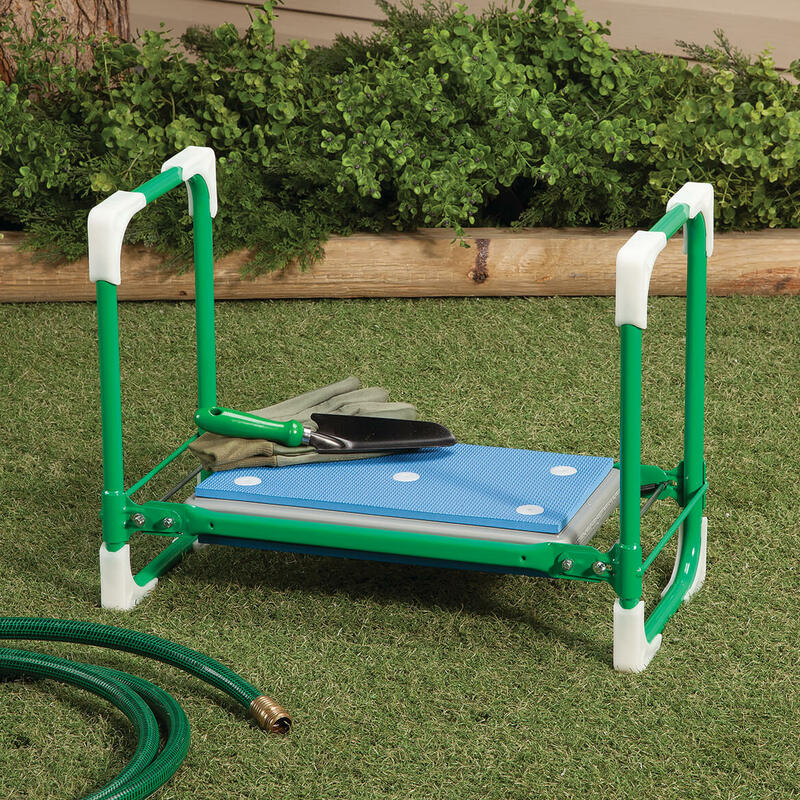 What is the weight capacity of the folding garden Seat? BEST ANSWER: Thank you for your question. This item has a weight limit of 250 pounds. We hope this information will be of help to you.